For the first time, I’m doing my full show at the Manilatown Center next to the historic I-Hotel site in San Francisco on Friday, Aug. 17 at 7:30 pm. It’s called the “[Amok Monologues: All Pucked Up; NPR, Harvard, and more](),” and it’s not really a semi-shameless plug. Prepping the show for the 17th has my head back at Harvard in the ‘70s, just a few years after major civil rights laws were passed. Coincidentally, a passage in that New York Times article about Asians suing Harvard over discriminatory admissions really struck a nerve. As a freshman in 1973, I don’t remember ever being invited to a Black, Brown, Yellow banquet for Crimson people of color. I don’t think I ever heard the phrase affirmative action. In fact, most of the Asians I knew at school were all paying customers, foreign royalty, or from elite Asian families. Not many were regular Asian Americans like me on scholarship with a free-lunch background and parents who were both on SSI. I wasn’t Black enough to be with the “minorities.” And not Asian enough to be with the elites. I was always an Asian American of Filipino descent. On my own. I was a unique micro-minority and don’t ever remember being referred to as being part of any group. The truth is, they didn’t see me at all. Truth is, Harvard didn’t know how to deal with Asian Americans. Not when I was there. But why the Asian Americans to a “lesser degree”? Rosovsky explained that he separated Asians because Americans of Japanese, Chinese and Korean descent are the most “overrepresented” groups in higher education. Rosovsky cited the Asian American numbers from 1987-1988: Harvard, 14 percent; MIT, 20 percent; Cal Tech, 21 percent; UC Berkeley, 25 percent. Since his book’s publication, the numbers have risen dramatically, just as the Asian American population has exploded. Harvard currently has a freshman class around 22 percent Asian American. Berkeley’s Asian American numbers are around 40 percent. So certain groups of Asians are clearly doing well, but not all. When I read his book the first time in 1990, it struck me how the university saw the Filipino me. So I really was a brother. Then again, I realized why I might have felt more comfortable taking courses in the college’s Afro American Studies department. A creative writing course there was very different from one taught in the white English Department. 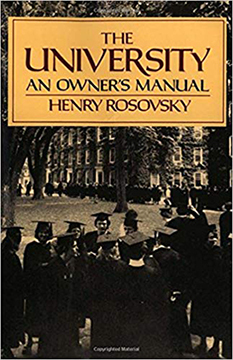 To its credit, the Rosovsky book shows the university was actually looking at diversity broadly. And the book shows Harvard understood Asian Americans weren’t just Chinese. For decades, the Asian American community has been seen as synonymous with its largest group, Chinese Americans. It says something that Harvard, while struggling, was trying to seek an equitable balance among all Asian Americans. Does that sound like discrimination? If we want to uncover real discrimination at Harvard, we shouldn’t be looking at the overrepresented Asians like the Chinese, Japanese, and Koreans. But they are the folks who seem to be overrepresented among the victims covered in the current suit being pushed by anti-affirmative action activist Ed Blum and his right-wing group. If Blum were really interested in helping Asian Americans, he’d be looking at those who make up Rosovsky’s “some Asians” list: Vietnamese, Cambodians, Laotians, Filipinos, and Indians. Did they get the attention they deserve? Were they served? That might be more useful than what Blum’s pushing now. In his fishing expedition, Blum seemed to get mostly Chinese Americans who want to know why their perfect SAT scores weren’t good enough to get them into Harvard. The truth is, Blum doesn’t care about any of us. His choice of Harvard as a target is strategic. Discrimination at Harvard? Rosovsky seems to indicate the school has always been earnestly trying to seek real equity among all Asian Americans. Does Blum address Vietnamese, Cambodians, Laotians, Indians, and Filipinos at Harvard Yard, if at all? If Blum’s suit isn’t about all of us, don’t allow his legal machinations to divide us.